There's always people saying there isn't any good music made anymore. Well, those people are dead wrong. Thanks to cheaper and better recording equipment and the internet, with sites as Last.fm and MySpace every band can have their sounds heard all over the world. 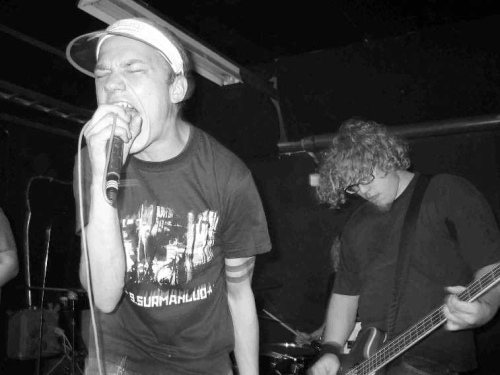 This article highlights 5 great underground bands I discovered through either Last.fm or MySpace. Probably a great unknown outside of Finland, the Heartburns produce catchy, dirty punk somewhere between Zeke and the Ramones. Fast, furious and filthy. Both King Khan (aka Blacksnake) and BBQ (Mark Sultan) have been around producing quality garage rock and punk for quite some time. They played together in the Spaceshits, and apart Les Sexareenos and their latest projects King Khan & The Shrines and BBQ. Together again this time as a duo, they make 60s inspired garage rock. More garage rock! Forget all those bands labeled as garage rock that really come from shiny rehearsel studios. There's so much real garage rock to be found. You might have noticed by now I like garage rock. These two ladies and one gentleman know how to produce some fine rock'n'roll. From the label of Dennis Lyxzén of Refused and The (International) Noise Conspiracy fame come another bunch of rocking ladies. Catchy garage punk galore. Queens of the Stoneage is too pop for you? You'd rather go back to ye olden days when all stoner rock was low and loud? Meet Red Fang: Stoner metal with just a dash of grunge (not the whiney kind, the good kind). Who doesn't? I want more too! Which bands did you discover with Last.fm and MySpace or other sites? Which bands should the world discover? the bombettes totally stole the guitar beat from nirvana's "breed" i disapprove! !